We are now a few weeks into the New Year. Did you make a resolution to eat better and exercise this year? It takes some time to learn new recipes, create meal plans, snacks, grocery shopping, etc. But in the end – it will be worth the time and monetary investment. It is easy to make resolutions, but how often do we really stick with them for the entire year? HueTrition has a few ways to help you make healthy choices and get useful health advice. The first event is a cooking class on February 2, 2019 at 6pm EST (3pm PST). 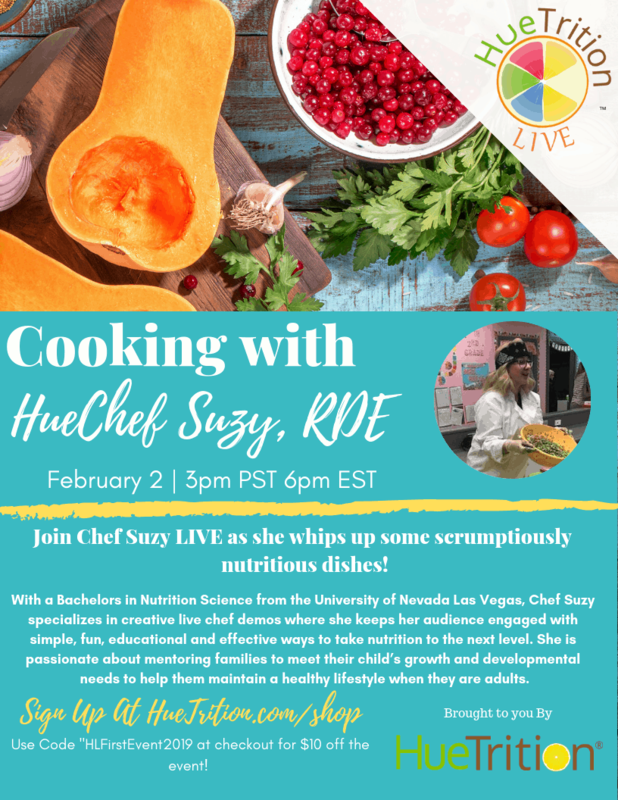 Chef Suzy will be whipping up some delicious and nutritious meals LIVE online. Chef Suzie is passionate about mentoring families to meet their child’s growth and developmental needs to help them maintain a healthy lifestyle when they are adults. She will have lots of good things to share during this live event! Visit HueTrition to sign up and use code HLFirstEvent2019 at checkout to get $10 off! The cost will be just $5 with the coupon code! This will be a very informative event! 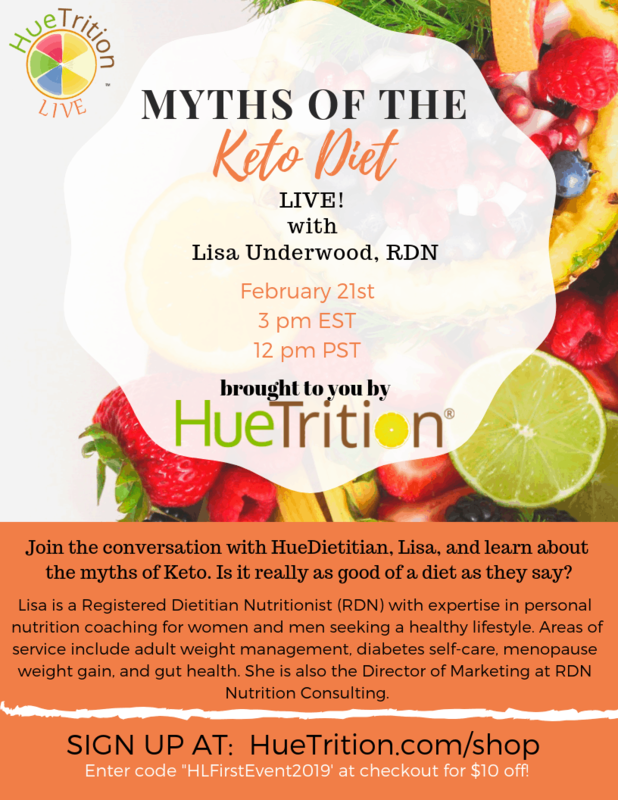 Another event you can join is the conversation with HueDietitian, Lisa, and learn about the myths of Keto. 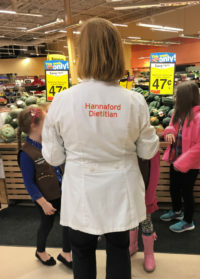 Is it really as good of a diet as they say? This live event will be with RDN Lisa Underwood on February 21 at 3pm EST (12pm PST). 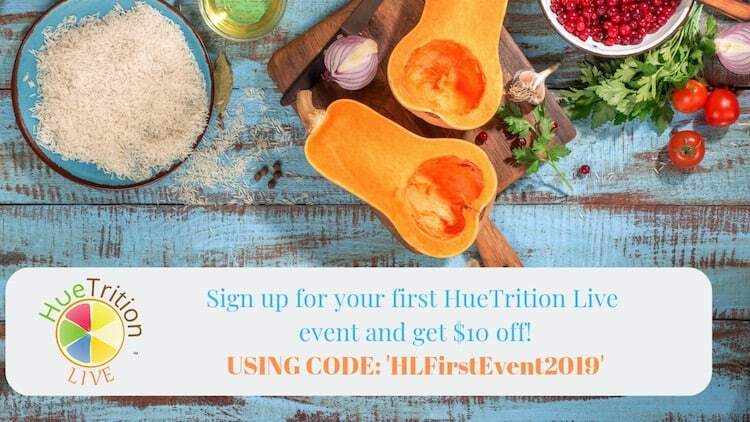 Visit HueTrition to sign up and use code HLFirstEvent2019 at checkout to get $10 off! The cost will be just $5! HueTrition.live is going to be your one-stop place for all the nutritional advice, encouragement, and recipes you need to start off the New Year for a healthier you! HueTrition Live is a brand new platform: Where Health & Wellness Meets Technology- The New Gateway to Food as Medicine & Preventative Health Destination. Check out HueTritions HueTube Channel for lots of advice about nutrition. Check out these Diet Do’s & Don’ts! 5 SIMPLE & FUN Healthy Tips!